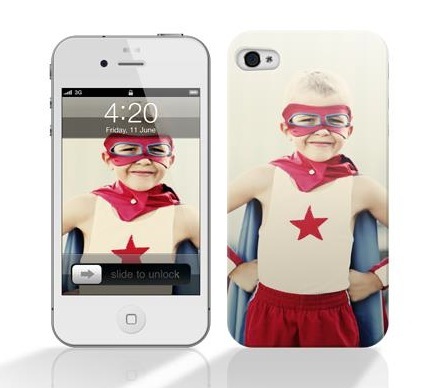 Dying to stick your awesome iPhone photos on a t-shirt, coffee cup, or mousepad? Yes? Good. Of course there are a million places you can do this on the desktop-sized Internet (you know, that thing with all the linked webpages which you access by typing letters on a keyboard into something called a “browser?”), but now there’s a more compelling option: there’s an app for that. The app, from Penguin Digital, is called MoPho, and it’s the first to use the company’s Penguin SDK which will soon allow any mobile developer to integrate the same option for ordering photo products into their own apps. Using MoPho (which I’m really enjoying saying, by the way), iPhone users can take a photo or choose one from the camera roll and then pick a product on which to emblazon their artful photography. Or baby pictures. Or kitty cat. Or whatever. The current photo product lineup includes mouse pads, mugs, key chains, beverage coasters, frosted glass steins, HD aluminum art, re-stickable posters, t-shirts and (as of a minute after publishing this) custom iPhone cases. MoPho will show you what the product looks like before you order and lets you adjust the photo by zooming, rotating and scaling. You then enter in your shipping and billing info and checkout, paying with either Visa, MasterCard, Discover or American Express (via Authorize.net). Prices are reasonable enough, e.g. t-shirt for $22, water bottle for $19.99, mousepad for $12.99, etc. But perhaps the niftiest thing about the app is what’s powering it: the Penguin SDK. Similar to Sincerely’s “Sincerely Ship Library for iOS,” which lets developers integrate photo printing and postcard functionality into their apps, the Penguin SDK will do the same for photo products. The company hasn’t yet opened up the Penguin SDK publicly yet (it’s coming in roughly a month), but said they would provide early access to the first 25 TC readers who sign up via their form. Penguin Digital was started in 2010 and is led by founder Josh Friedman and CTO Andy Minkstein (both also of PicsCliq). The company has $1 million in seed funding from N.Y. investors in a round led by Globis Capital.